The Secret Garden Event homeBuy ticketsCustomer reviews HamiltonThe PromNetworkTo Kill a MockingbirdKiss Me KateHadestownOklahoma! Why See The Secret Garden? The enchanting tale of Mary Lennox and her magical garden returns to Broadway in its first major revival since premiering in 1991. The first musical adaptation of Frances Hodgson Burnett's classic children's novel was created by Lucy Simon with books and lyrics by Marsha Norman, starring Mandy Patankin in the role of the forbidding Archibald Crane. Winning two Tony Awards, the original production was notable for featuring the youngest ever Tony-winning actress, Daisy Eagean. This new revival is a co-pproduction between Seattle's 5th Avenue Theatre and D.C's Shakespeare Theatre Company. Ten year-old Mary Lennox has lived a privileged, yet lonely existence in British Raj-era India with her wealthy, yet neglectful parents. More concerned with their social engagements, they leave her in the care of an elderly Indian ayah, who bows to every whim of the spoiled youngster. However, her life is turned upside down when her mansion is overrun with cholera, killing everybody but her. Shipped to England and the care of a distant relative on the wild Yorkshire moors, she finds that her wealthy uncle wants nothing to do with her, having lost his wife 10 years earlier - looking at her reminds him of his loss. 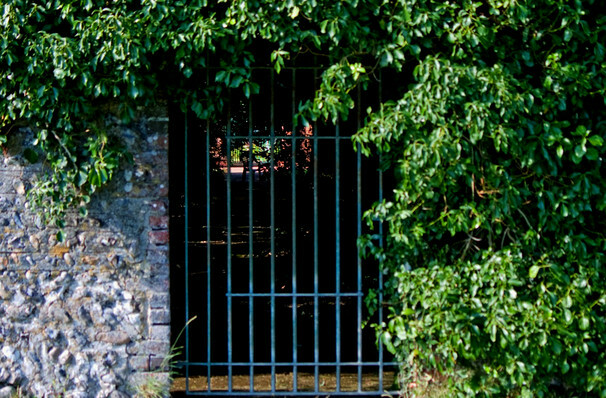 Struggling to accustom to the no-nonsense attitude of the servants and the cold, wet weather, she explores the estate's huge grounds, and ventures across an old brass key - this unlocks a hidden and overgrown walled garden, whereapon she takes it upon herself to work on, without anybody's knowledge. She meets Dicken, a friendly young local who helps her during the day, however something is haunting the halls of the mansion at night. That something is her shut-in cousin Colin, who has all but been abandoned by his absent father for being sickly. Together with Dicken, she befriends Colin, helps him regain his strength and overcome his bitterness. As the garden blooms, so do Mary and Colin in their happiness- but can they convince his father and the austere housekeeper that the garden can bring them together as a family? Seen The Secret Garden? Loved it? Hated it? Sound good to you? Share this page on social media and let your friends know about The Secret Garden at Venue To Be Announced. 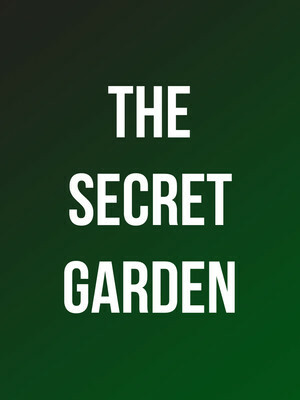 Please note: The term Venue To Be Announced and/or The Secret Garden as well as all associated graphics, logos, and/or other trademarks, tradenames or copyrights are the property of the Venue To Be Announced and/or The Secret Garden and are used herein for factual descriptive purposes only. We are in no way associated with or authorized by the Venue To Be Announced and/or The Secret Garden and neither that entity nor any of its affiliates have licensed or endorsed us to sell tickets, goods and or services in conjunction with their events.